A fast Ford Fusion and an even faster start in Saturday’s Bass Pro Shops NRA Night Race at Bristol Motor Speedway were all for naught for Paul Menard and the No. 21 Menards/Knauf team. After charging from his fourth starting spot into second place and onto the bumper of the race leader before the race’s first caution on Lap Three, Menard experienced a vibration on the ensuing restart and eventually hit the wall on Lap 28, ending his race and leaving him with a 36th-place finish. The culprit was a problem with the right front wheel. “It broke the center section out of the wheel, which we’ve never seen before,” Menard said. “We had a really fast Ford. We started fourth and felt like if that first caution hadn’t come out we could have been leading the race by Lap Three. Menard said the team will try to assess what went wrong and figure a way to prevent a future occurrence. “We’ve got to figure out why the wheel broke,” he said. “What came first, the chicken or the egg, hitting the wall or the wheel breaking? 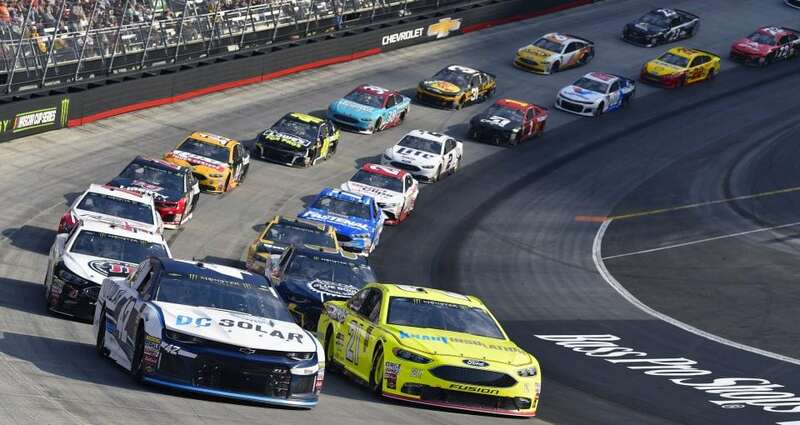 The disappointing finish leaves Menard 20th in the Monster Energy Cup Series standings with two races remaining in the 26-race regular season, which resumes in two weeks at Darlington Raceway.